Hey guys, Danny Josa, Dustin Orem and myself started things off at Paul Langland’s place when we first arrived on Friday . 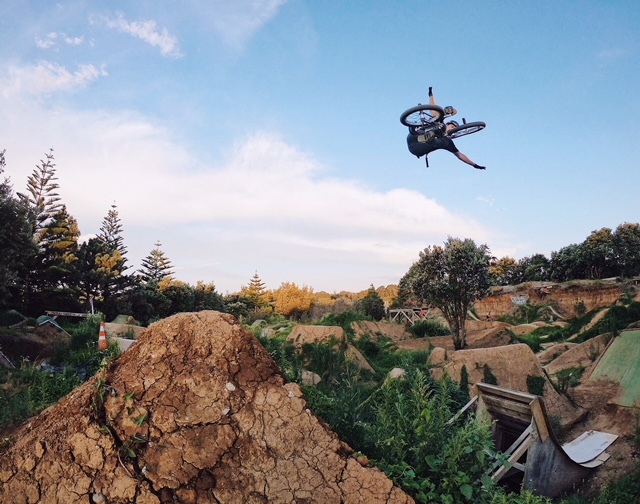 The following day Saturday Paul had invited all the local New Zealand riders out to shred his yard for a day Jam. Sun was shining with kicks outs and moto whips! The following day we had to take off to make our way down to the South Island for the Farm Jam. 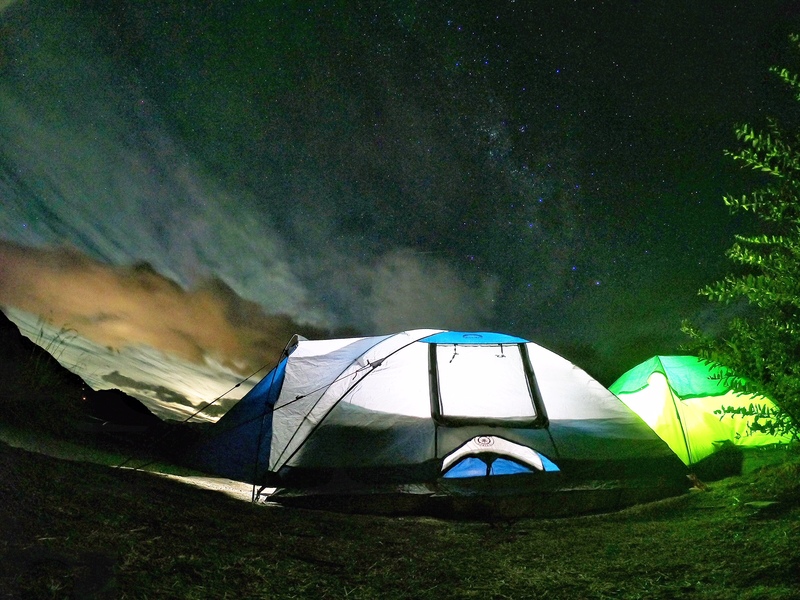 With a few stops at skateparks and dirt jumps along the way we figured the trek would take us about 4 days, giving ourself a a comfortable lead to the Farm. 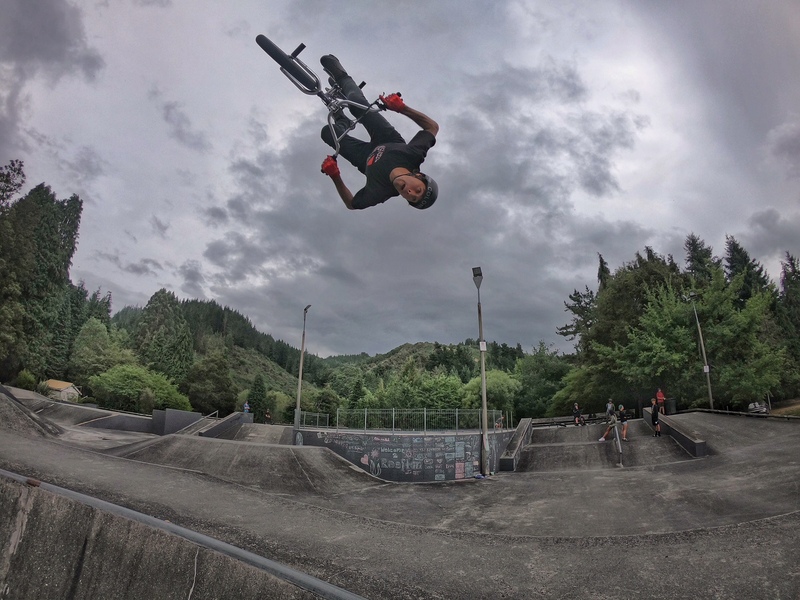 Before crossing the ferry ride over to the South Island we stopped in a city called Reefton were there is one of the oldest skateparks in New Zealand! Coordinating with a few local riders from my previous trip two years ago, we were greeted with the park filled with bike riders. Shredding bikes with the local kids was epic experience. Once we had left Reefton the weather had turned for the worst. Temperatures from the 30’s had drop to 10-15 celsius with stormy conditions.. Once we crossed over from the north Island to the South. We had landed in a city called Picton. Stormy conditions had continued to spread throughout our journey to the Farm Jam. 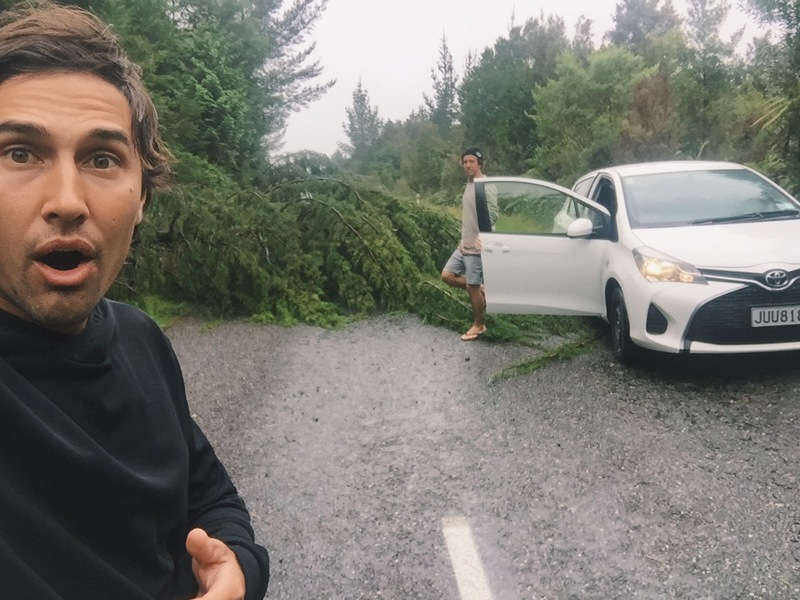 Due to the terrible weather the main coastal road to Queenstown was shut down! Debris and trees were scattered across the roads forcing us to detour 5 hours inland and shoot on down. Along with the cold conditions I managed to catch a fever.. Being sick at this point was not ideal while traveling but managed to stay warm under the unique shelters while on the road to Farm Jam. Waking up Friday morning at the Farm Jam was like a toss up in the washing machine. At this point rain had greeted us along with myself now having flu like sickness. Practice was called off due to the dirt jumps being way too muddy to ride. With priorities to keep the jumps dry by the boys, I am over here trying to hydrate and flush this virus out of me. As Saturday falls upon us, the event Farm Jam is kicking off! A few thousand people are now starting to show up to the event. Friends and family are now taking course to watch the madness go down! The energy created is a surreal feeling with excitement of anticipation to see the BMX, Moto and Mtb contest. As for me I am lethargic, weak and disappointed. I have come this far across the world to ride. Trying to stay positive I have 1 hour before the Bmx contest starts. I am now truly manifesting my abilities to ride… As I gather my strength get my myself together, I start to have clarity. I decided to pad up and walk up to the course where all the riders were posted up waiting to drop in for the Jam. 4 o’clock comes around and I manage to have enough focus that I will take a few runs to see how things go. As my name is announced I drop in and the jam in now in session. Gaining confidence through every jump I hit I start throwing a few tricks. The line started small with two kicky jumps that lend into a super booty right hand hip. Landing high you were welcomed with a left hand long in low jump feature than gained a ton of speed to explode off a straight 4 meter step up jump. Once landed you were cooking on in to a giant right hand roller that dropped you like a high speed roller coaster! Lining you now up for a 7 meter booster jump! So much hang time for any trick! 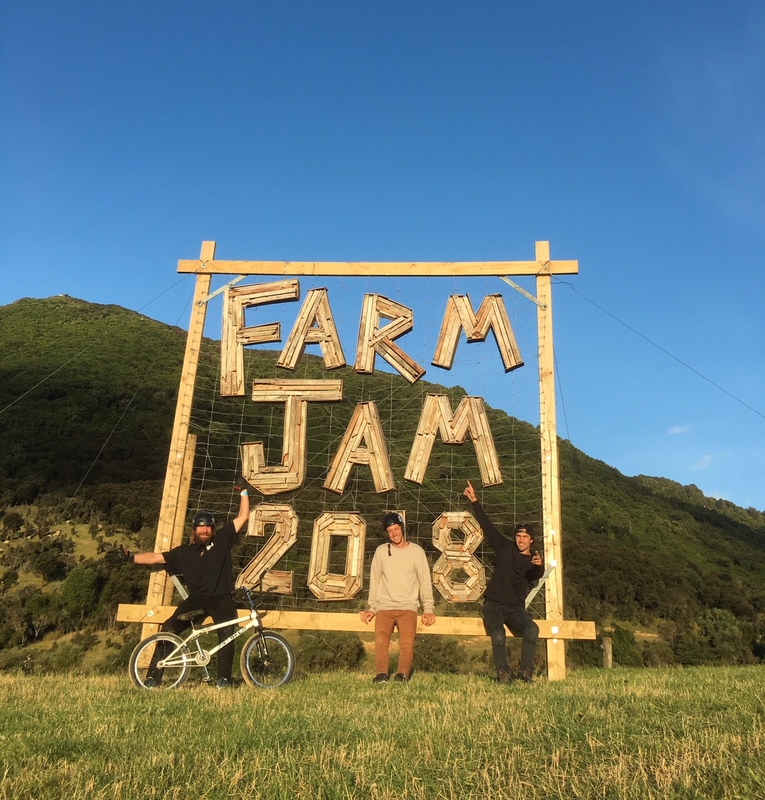 Farm jam 2018 in the books. Thanks to Danny Josa for the photos.